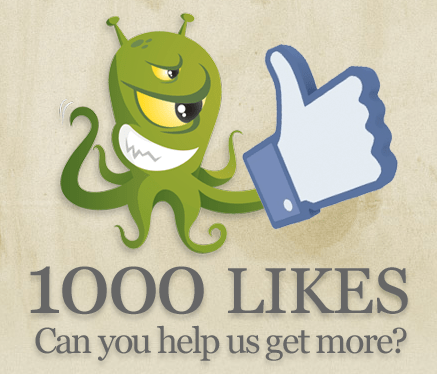 I’m very pleased to announce that OngoingWorlds has this week surpassed over 1000 likes on Facebook! I haven’t seen the Kevin Costner film “Field of Dreams” because it sounds terrible. Fortunately I have Waynes World which spoofed the film’s main catchphrase “If you build it, they will come”, leading Wayne and Garth to create a rock concert, which goes surprisingly well despite barely any advertising. Social media is a massive thing at the moment, and it seems like everyone is using either Facebook or Twitter. TV programmes, radio stations, companies, products, and even your local gym will want you to either follow them on Twitter, or ‘like’ their page on Facebook. You might hate social media, but you’ve got to admit it’s damn useful! Using Twitter or Facebook is a way that you can easily talk to people, and that’s great, but the most obvious value to your roleplaying game is that it makes it easier for people to find and talk to YOU! EDIT – This post is old now, so I’ve written a new one with updated instructions and screenshots. You can see it here. If you’ve got a Facebook fan page for your game (you might have created one from the previous tutorial), you might want to set it to automatically post an update to your page when someone posts in your game on OngoingWorlds. Want to know who the WBWW winner is?